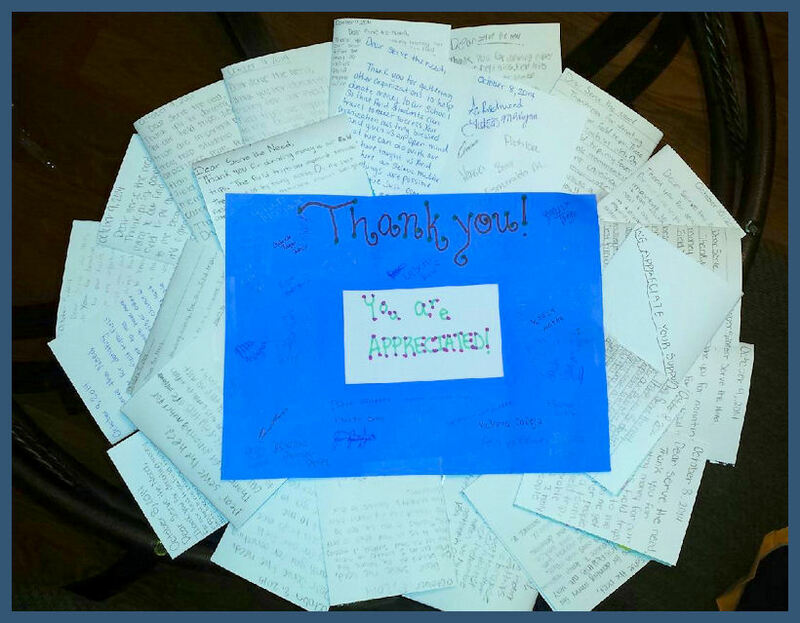 Thank You, STNinJC!! 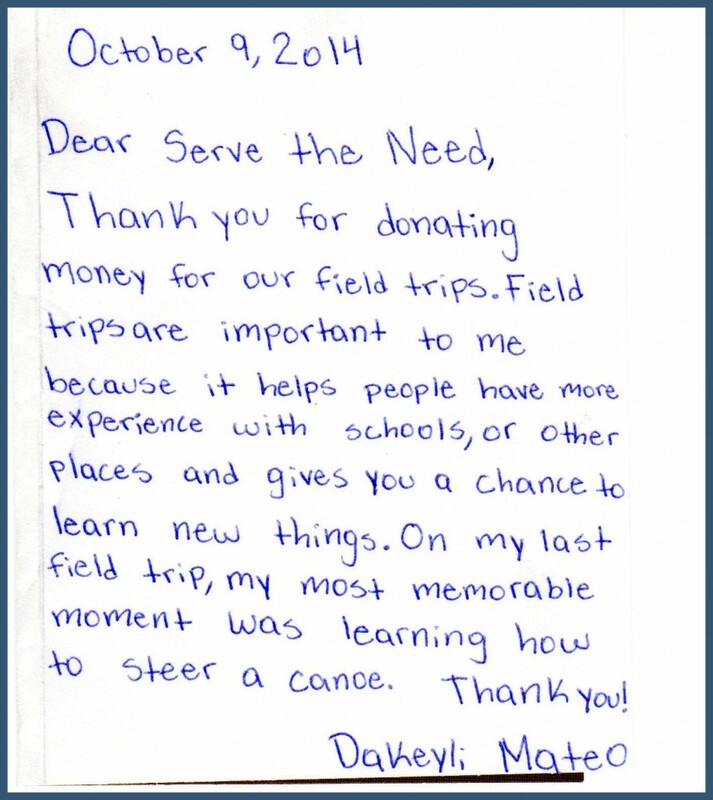 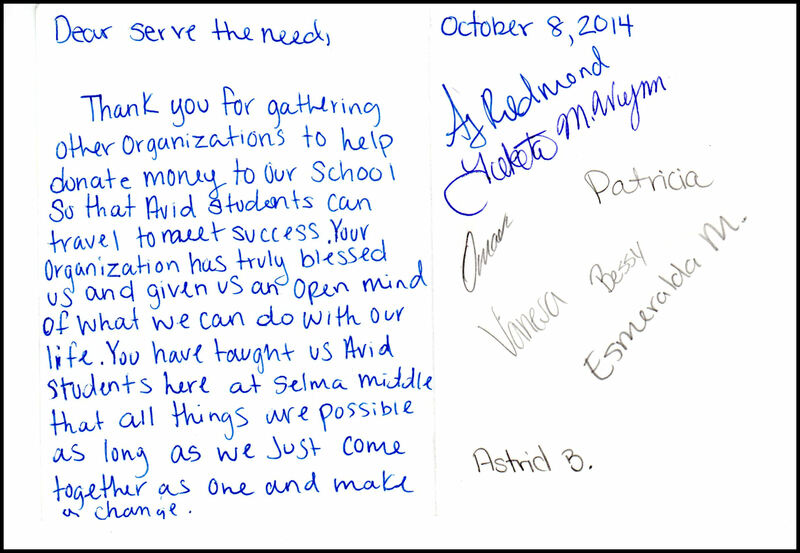 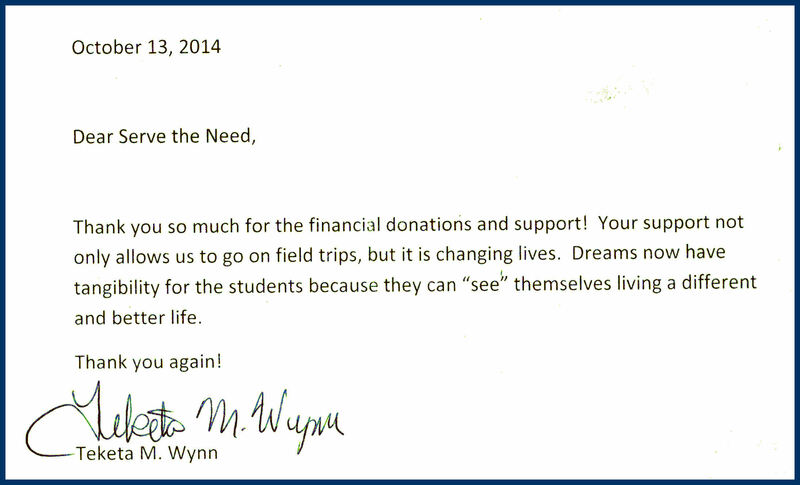 From students of Selma Middle School AVID program. 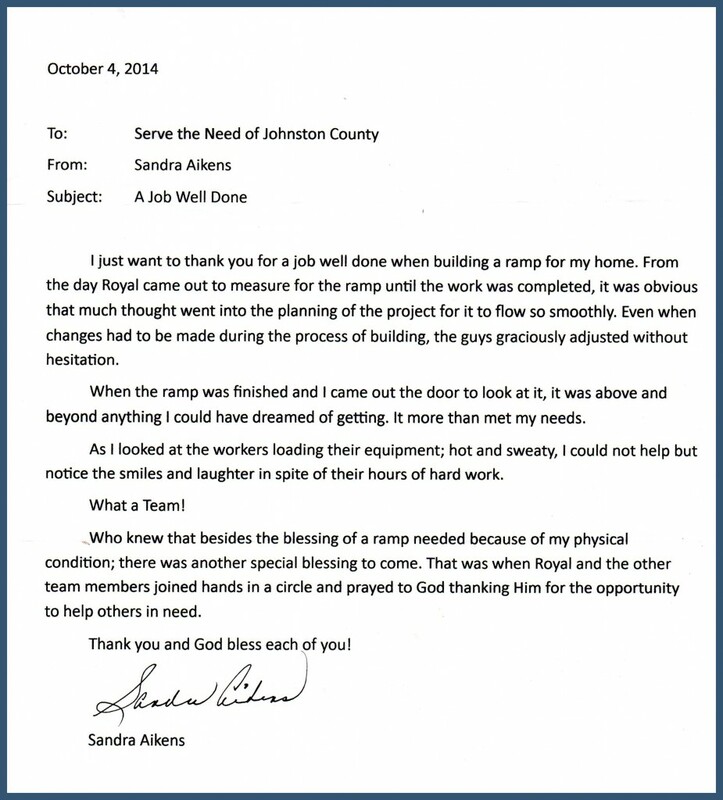 Thanks to our “Ramps & Repairs” team for a ramp and prayers. 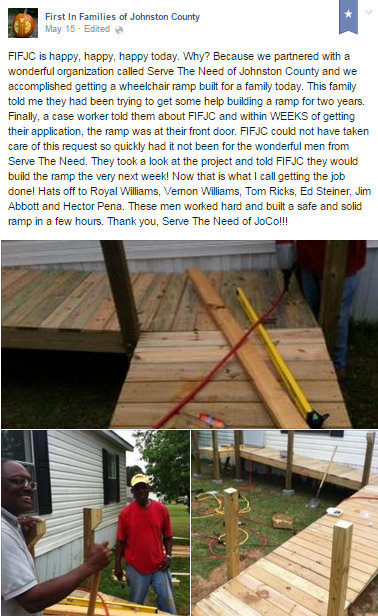 Shout out to STNinJC & our “Ramps & Repairs” team on First in Families Johnston County Facebook!! Gratitude to our “Ramps Repairs” team from Peggy Pete Perrino. 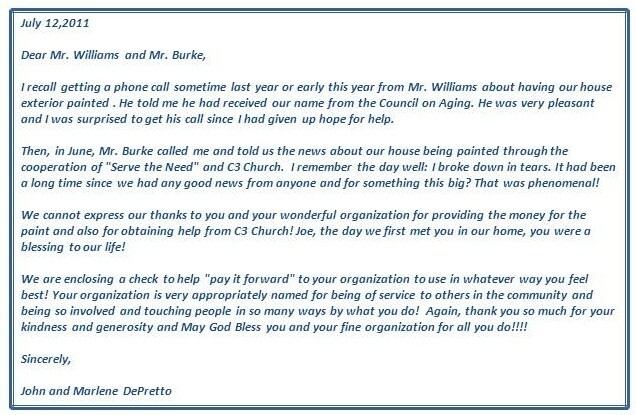 2011- Thank you from John & Marlene DePretto for providing money for paint in cooperation with C3 Church.